As the Russian-speakers in Ukraine are being annihilated by the “wrong” government run by neo-Nazi fascists Russia needs to act and prevent genocide, Francis Boyle, Professor of International Law at the University of Illinois, told RT‘s Truthseeker. 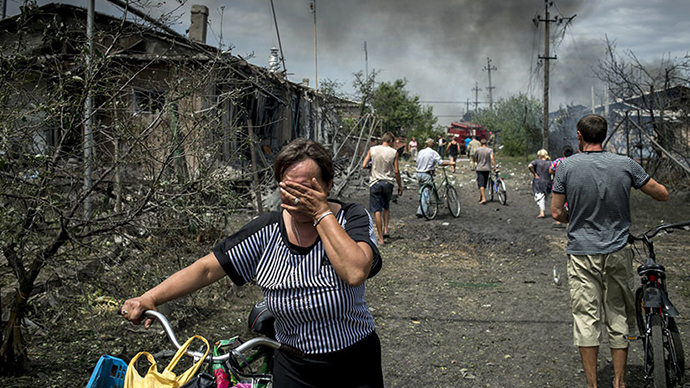 RT: The situation in Eastern Ukraine is now horrendous. At least 200 people have been killed and another 600 injured in military action in Ukraine’s Donetsk and Lugansk regions. Prime Minister Yatsenyuk officially refers to Russians as ‘subhumans’, just like Hitler did. In areas they haven’t taken yet, Kiev’s army has cut off humanitarian corridors, so famine is now just as catastrophic as the shelling. 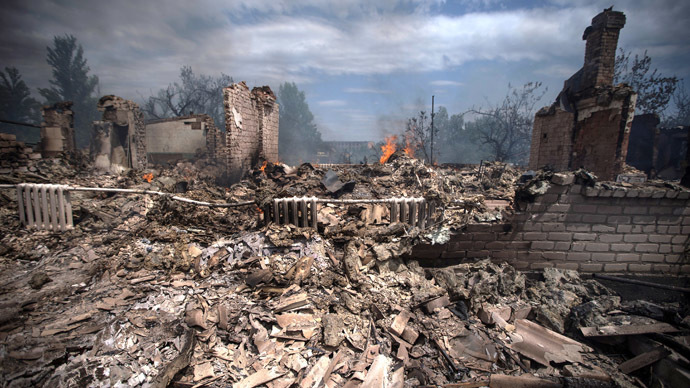 For you, is Kiev’s behavior genocidal? Francis Boyle: Yes, I’m afraid what we are seeing is degeneration into genocide. I say it based on my experience as the lawyer for the Bosnians and having argued their case for genocide at the World Court [the International Court of Justice in The Hague – RT]. And on the two orders of provisional measures of protection for them, and we clearly have seen crimes against humanity and war crimes for quite some time. And now I am afraid it is degenerating into outright genocide, if it is not there already. Both Russia and Ukraine are parties to the 1948 Genocide Convention, and under these dire circumstances, it would be my strongest recommendation possible to President Putin to cut off all the gas to Ukraine, all of it, not even one cubic meter of gas. To turn off all the gas and then to state that since Russia is a part of the genocide convention, under article one to the genocide convention Russia has an obligation to “prevent genocide”. If it is not genocide now, it is going to become genocide very quickly. I think President Putin can and should do this now, and if he cuts off all gas, that would brake all this to an immediate halt. We know that under international law there is this doctrine “parens patriae” (parent for the nation), which enables states to act on behave of related peoples who are not their own citizens. And here certainly Russia can act “parens patriae” on behalf of the Russian-speakers in Ukraine who are currently being annihilated by the wrong government run by a gang of neo-Nazi fascists. I believe even President Putin used the word “annihilate” and that is exactly what is going on. Even if the leaked plan of ‘handling’ Ukrainian crisis was not produced by the RAND corporation, events on the ground very much resemble the shocking points of the memo and the “guidelines for genocide” exported by the US, Don Debar from CPR News told RT. A memorandum, recently leaked to online media, suggested surrounding eastern Ukrainian cities and placing citizens in internment camps. The document bears a logo of RAND corporation think-tank, but the company denies producing such a report. While the authenticity of the document could not be independently verified, anti-war activist and journalist Don Debar told RT the guidelines amount to “serial war crimes” some of which are already happening on the ground. This entry was posted in Human Rights & Justice, War & Terror and tagged Don Debar, Francis Boyle, genocide, Ukraine. Bookmark the permalink.